99tab.com is the PUP that uses misleading techniques to prevent removal. Use Reimage to locate malicious components and get rid of them faster than with uninstall instructions. A full system scan blocks virus reappearance and prevents traffic to malicious domains. 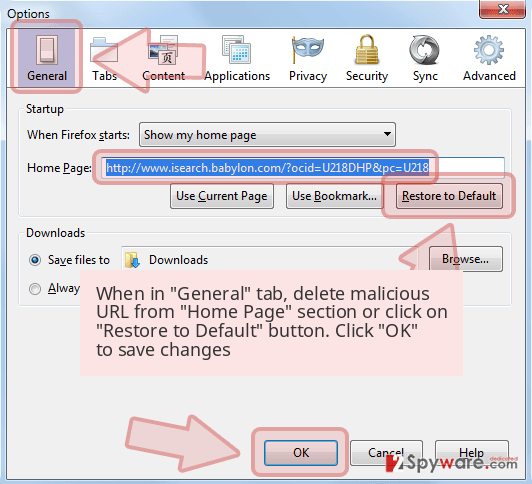 How to avoid installing browser hijackers? Therefore, we do not think that using this page is a laudable idea, especially because it provides nova.rambler.ru search results. This search engine is considered to be untrustworthy because of methods used for its distribution and results that mostly point to affiliate websites rather than the ones that provide useful information. That is one of the reasons why we recommend users to remove 99tab.com ASAP. That can be done using anti-malware software like Reimage or removal instructions that are given below the article. 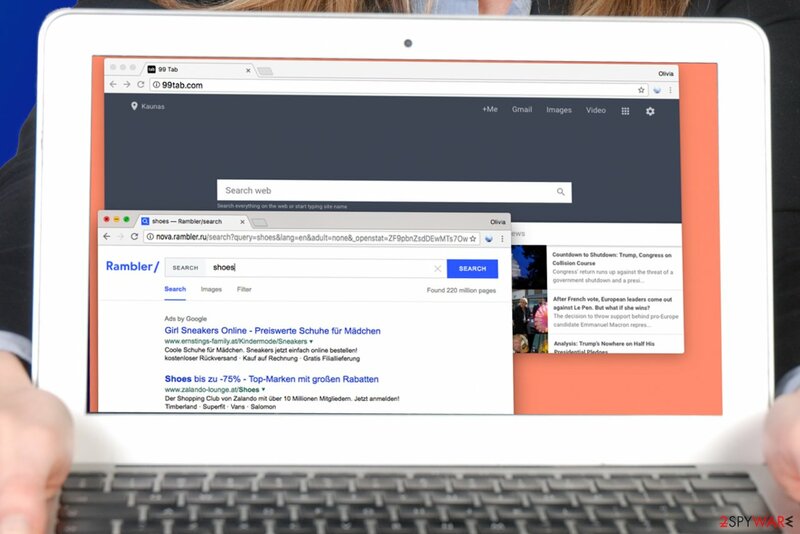 After typing a search phrase into the described search engine, you will notice that it firstly delivers images related to your search query, but then these will be pushed down by a column of sponsored search results. Although these will be marked as “ads by Google,” we do not recommend trusting them. They can be modified and point to particular dangerous websites, and in fact, statistics show that sponsored search results tend to have more dangerous URLs than the organic ones. After clicking on these ads, you might be forced to visit highly suspicious Internet websites that have all kinds of goals, for instance, some of them might be interested in your name and email address, while others can ask you to provide even more sensitive information. We suggest keeping it for yourself. What is more, do not let suspicious websites convince you to install highly suspicious free software because we are sure that you are going to regret doing so. Usually, dangerous websites advertise ad-supported or browser hijacking programs that you definitely do not need in your life. Ergo, you might start thinking about 99tab.com removal if you do not want to come across highly dangerous websites without trying to do so. 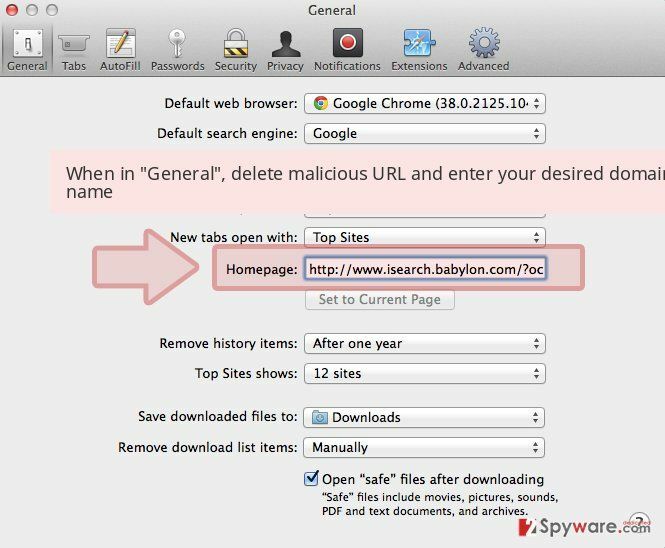 Browsers affected by 99tab.com virus will trigger redirects to suspicious search engine that is shown in this picture. To avoid installing browser hijackers, users should be attentive to details that software installers provide. Usually, they suggest adding a couple of extra third-party applications to the system, such as “new tab pages,” “search tools” and other programs that ostensibly can enhance user’s browsing experience. Sadly, such programs typically appear to be useless. To drop them off and install only the program that you need, we recommend choosing Standard or Custom settings for software installation. These settings are likely to provide a list of additional programs and allow you to deselect the unneeded ones. We suggest you deselect all of them and proceed with the installation. To remove 99tab.com virus that forces you to experience unwanted redirects, use instructions provided down below or run a system scan using anti-malware program. Using automatic spyware/malware removal tool will allow you to eliminate suspicious software components more precisely and safely. However, if you are not interested in security software, you can try to find and uninstall it manually. 99tab.com removal tutorial is already prepared by our team – we hope that you will quickly remove the infection with the help of it. Before fixing the affected browser hijackers, you need to uninstall strange programs from your computer. Try to identify all suspicious programs that somehow appeared in the system without asking for your permission to enter it first. IMPORTANT. 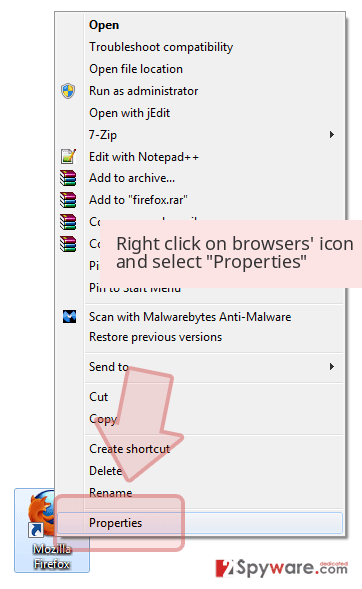 Clean browser shortcuts as shown in the example below. Here, look for 99tab.com or any other recently installed suspicious programs. Wait until you see Applications folder and look for 99tab.com or any other suspicious programs on it. Now right click on every of such entries and select Move to Trash. 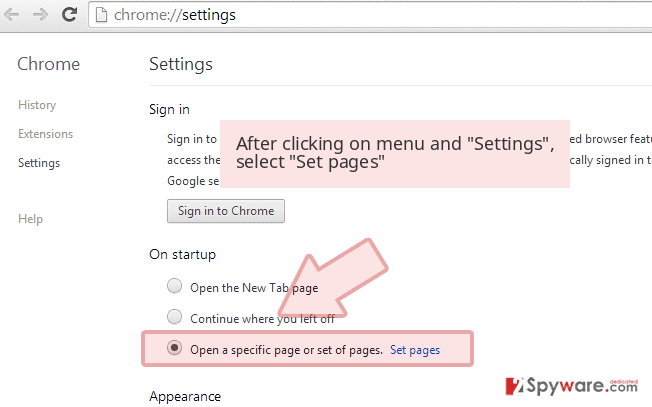 When in the new window, check Delete personal settings and select Reset again to complete 99tab.com removal. Once these steps are finished, 99tab.com should be removed from your Microsoft Edge browser. Firefox must be fixed and not contain any shady add-ons. You will find out how to remove them by reading tutorial that is provided below. Here, select 99tab.com and other questionable plugins. Click Remove to delete these entries. Now you will see Reset Firefox to its default state message with Reset Firefox button. 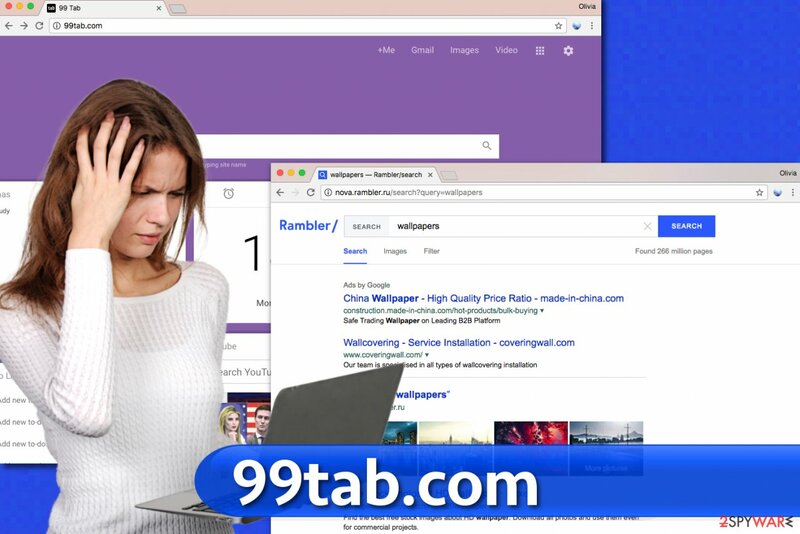 Click this button for several times and complete 99tab.com removal. Delete browser extensions that you do not use or that appeared in the Chrome’s extensions’ list without your consent. Here, select 99tab.com and other malicious plugins and select trash icon to delete these entries. Click Reset to confirm this action and complete 99tab.com removal. 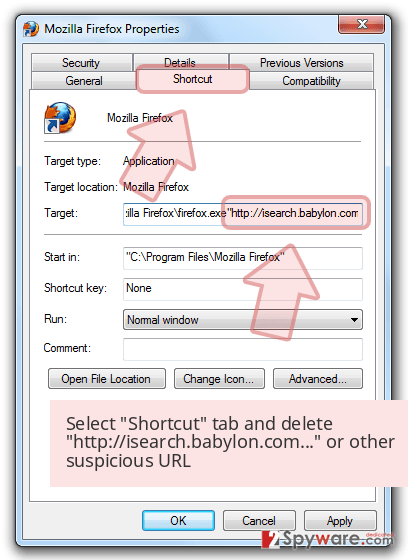 Here, select Extensions and look for 99tab.com or other suspicious entries. Click on the Uninstall button to get rid each of them. Here, look at the Homepage field. If it was altered by 99tab.com, remove unwanted link and enter the one that you want to use for your searches. Remember to include the "http://" before typing in the address of the page. Now you will see a detailed dialog window filled with reset options. All of those options are usually checked, but you can specify which of them you want to reset. Click the Reset button to complete 99tab.com removal process. ^ What Are Browser Hijackers?. Norton Internet Security Center. 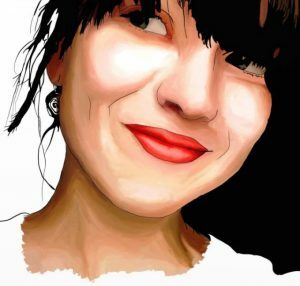 Tips, Education & Answers. ^ Adam Levin. 5 Reasons You Shouldn't Give Your Email Out Like Candy. ABC News. Breaking News, Latest News, Headlines & Videos. This entry was posted on 2017-04-24 at 23:49 and is filed under Stealing programs, Viruses. You can quickly scan the QR code with your mobile device and have 99tab.com virus manual removal instructions right in your pocket. How did you remove 99tab.com virus?